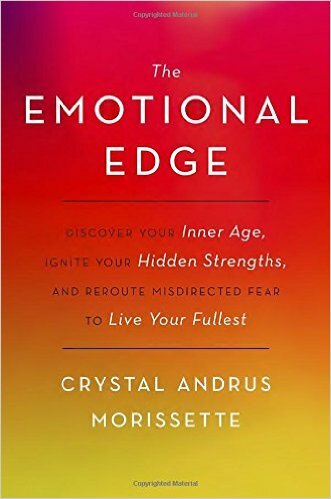 This fantastic book explains how to deal with your feelings (rather than run from them or numb them), manage your emotions, face your fears, heal your wounds, and expand your emotional edges in order to lead you BACK to the Real You!! 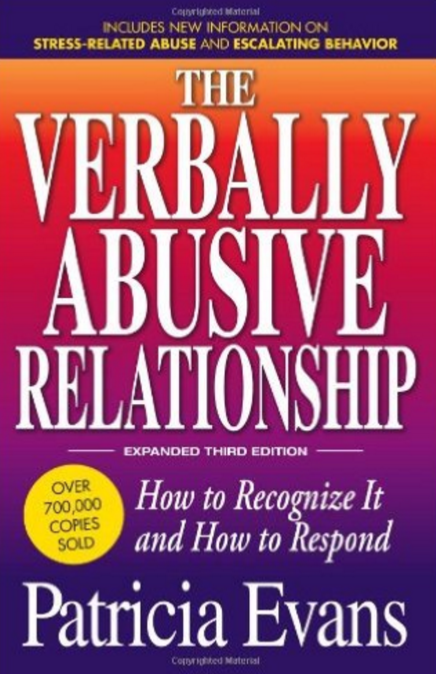 This book explains basic psychology very clearly and empowers individuals to stop reacting in a “knee-jerk” way that hurts their relationships with others. Most of us were not taught to manage our emotions because it was something most of us feel isolated and ashamed about because of our lack of control. So many of us have suffered in silence and shame but not any longer!! The truth is that the answers are right inside of you and the author explains how to tap into your authentic self. This book also gives practical ways to change your communication style from being passive or aggressive to assertive and accepting, who knew there could be a peaceful outcome to discussing differences….. Right? Our relationships are a reflection of ourselves and we are not able to see anyone else clearly… as they REALLY are until our own lenses come into focus and our perspective comes from being compassionate and empowering, not powering over others and the need to be right. More importantly, it allows us to be inspired and grateful for who we truly are which can be very contagious, and thank God in a good way!! Achieving a sense of inner peace and empowerment is Crystal’s goal for all of us, we just need to take the time to listen to what we really need, this is a great start!!! Dr. Bruce Perry, a child psychologist writes about his innovative methods for helping treat children that have faced unimaginable horror: genocide survivors, witnesses to their own parents’ murder and victims of family violence. He explains what happens to the brain when children are exposed to extreme stress and he tells their stories of trauma and transformation by helping them ease their pain and allowing them to become healthy adults. Is a remarkable tale about a magical journey and the quest to fulfill one’s destiny. It is a beautifully written story that will inspire the reader to follow one’s heart and be passionately committed to claiming the life of their dreams….. today! John Bradshaw defines the source and manifestation of toxic shame and provides practical tools– affirmations, visualizations, inner voice and feeling work that helps release shame that binds us to our past. Pia Mellody wrote this book for those who always seem to choose people to love who apparently cannot or will not “‘love them back.” She defines love addiction as “when one person loves another with compulsive intensity and in ways that are not in the best interest of either person.” There are case histories as well as her own personal experiences that clarify the distinctions between codependence and co-addiction, shows that our childhood experiences do have an impact on our relationship choices and positive steps to begin recovery. Danielle LaPorte makes one thing very clear, YOU can make it happened! The book is a permission slip to discover what you want and to go for it. There are sixteen segments that ask important questions to push you to rethink your assumptions about what makes you happy. Jeannette Walls writes about her immediate family growing up all over the United States and provides a fascinating first-hand experience describing the dysfunctional, abusive, yet loving relationship she had with her parents. She describes the amazing journey and her remarkable resiliency to discover a healthy balanced life. Jeannette Walls brings the story of her grandmother and the history behind her mother’s upbringing living on a ranch in Arizona. Readers will be mesmerized by mixture of wonder ad chaos, pride and pain but more importantly the resilience of the Walls kids. 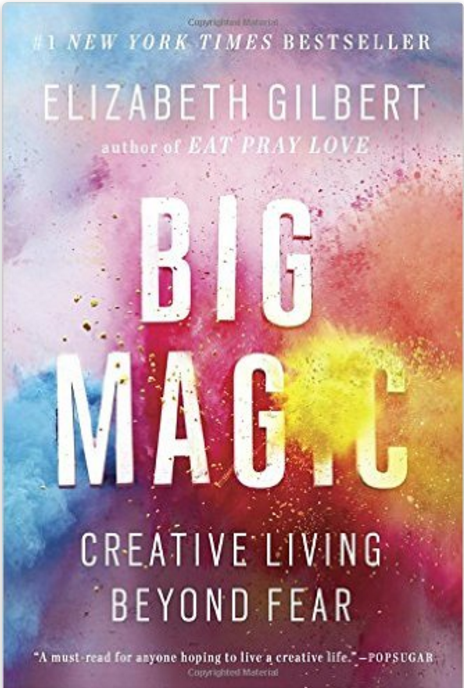 Elizabeth Gilbert’s latest book, “Big Magic” is like “Eat, Pray, Love” in that it’s Gilbert telling her experiences with creativity and how ideas come to fruition. It’s a fascinating exploration of the concept that ideas are alive and look around for someone to help them come to life. They actually have willpower and will take up residence in the mind of those who are capable of bringing them to life.“Ideas have no ma­teri­al body, but they do have consciousness, and they most certainly have will,” she writes. However, if the person who’s mind the idea is rattling around in doesn’t take action, the idea will flit off and find another worthy soul. She shares an example of an idea for a book that she never started, even though she knew it was a great story based in the Amazon. As it turned out, another writer, Ann Patchett who Gilbert greatly admires, ended up writing the exact same story. The amazing part is that while the idea was still brewing in Gilbert’s head, she had a conversation with the other writer and was thinking of how much she admired her, but did not mention the story. “Big Magic” is broken into six sections: Courage, Enchantment, Permission, Persistence, Trust and Divinity. Just when Glennon Doyle Melton was beginning to feel she had it all figured out — three happy children, a doting spouse and a writing career so successful that her first book catapulted to the top of the New York Times bestseller list — her husband revealed his infidelity and she was forced to realize that nothing was as it seemed. A recovering alcoholic and bulimic, Glennon found that rock bottom was a familiar place. In the midst of crisis, she knew to hold on to what she discovered in recovery: that her deepest pain has always held within it an invitation to a richer life. 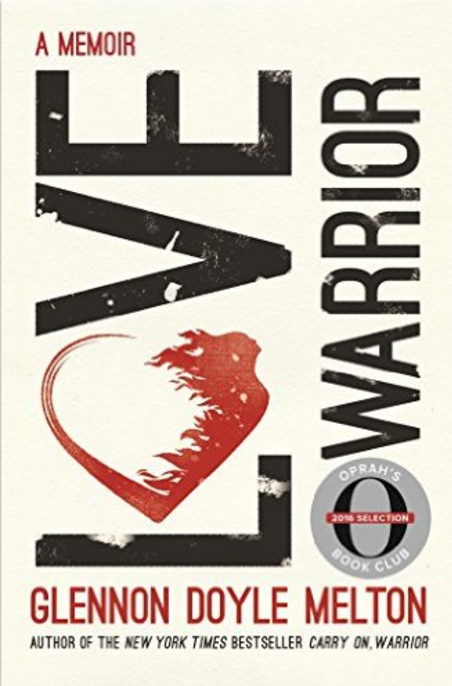 LOVE WARRIOR is the story of one marriage, but it is also the story of the healing that is possible for any of us when we refuse to settle for good enough and begin to face pain and love head-on. This astonishing memoir reveals how our ideals of masculinity and femininity can make it impossible for a man and a woman to truly know one another – and it captures the beauty that unfolds when one couple commits to unlearning everything they’ve been taught so that they can finally, after 13 years of marriage, fall in love. Trauma is a fact of life. Veterans and their families deal with the painful aftermath of combat; one in five Americans has been molested; one in four grew up with alcoholics; one in three couples have engaged in physical violence. Such experiences inevitably leave traces on minds, emotions, and even on biology. Sadly, trauma sufferers frequently pass on their stress to their partners and children. Renowned trauma expert Bessel van der Kolk has spent over three decades working with survivors. 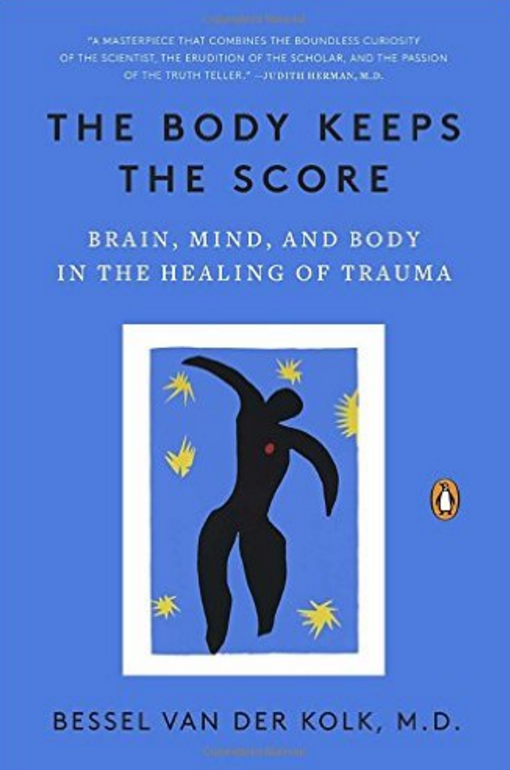 In The Body Keeps the Score, he transforms our understanding of traumatic stress, revealing how it literally rearranges the brain’s wiring – specifically areas dedicated to pleasure, engagement, control, and trust. He shows how these areas can be reactivated through innovative treatments including neuro feedback, mindfulness techniques, play, yoga, and other therapies. Based on Dr. van der Kolk’s own research and that of other leading specialists, The Body Keeps the Score offers proven alternatives to drugs and talk therapy – and a way to reclaim lives. On the surface, her childhood seemed normal—even idyllic. Linda grew up in the iconic immigrant community of Brighton Beach, Brooklyn, with her parents and a gifted older brother. But she spent her days at home alone with a mother who suffered major bouts of depression. At such times, young Linda was told, “Your mother…she’s not herself today.” Those words did little to help Linda understand what she was witnessing. 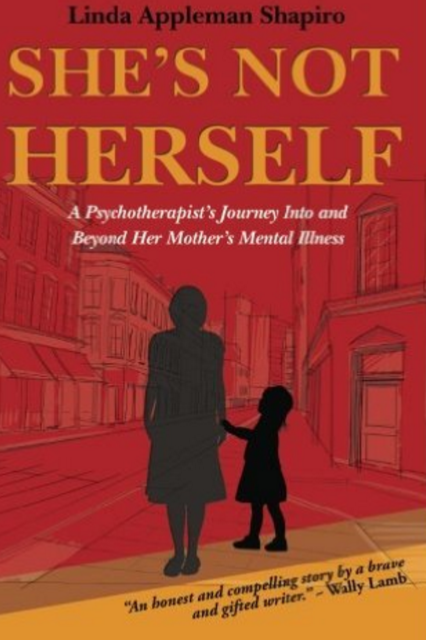 Instead, she experienced the anxiety and hyper-vigilance that often take root when secrecy and shame surround a family member who is ill.
She’s Not Herself is a journey to make sense of the effects of multi-generational traumas. Shapiro is ultimately able to forgive (without forgetting) those who left her to fend for herself—and to provide readers with the wisdom of a seasoned psychotherapist who has examined human vulnerability in its many disguises and has moved through it all with dignity and hope. The result is a memoir of love, loss, loyalty, and healing. Does your partner seem irritated or angry at you several times a week? Does he deny being angry when he clearly is? Do your attempts to discuss feelings of pain or emotional distress leave you with the feeling that the issue has not been resolved? Do you frequently feel perplexed and frustrated by his responses, as though you were each speaking a different language? Almost everyone has heard of or knows someone who is part of a verbally abusive relationship–if they’re not involved in one themselves. In The Verbally Abusive Relationship, you’ll find validation and understanding–it’s not “all in your head”–and encouragement for your efforts to change the situation. Author Patricia Evans explores the damaging effects of verbal abuse on children and the family, and offers valuable insight and recommendations to therapists, as well as those who seek therapeutic support.